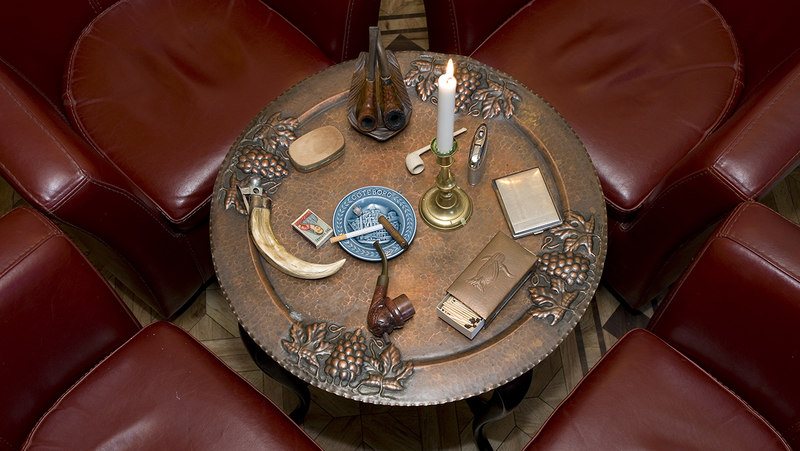 “Gentlemen, you may smoke!” Those loaded words were uttered by Edward VII after his first dinner as King of England. During Queen Victoria’s time, smoking wasn’t permitted when royals were present. We can only guess that Edward – being something of a party animal – had to hide and smoke a lot in secrecy, but was now finally able to bring out the smoking paraphernalia after the dinner service at his home at Buckingham Palace. At Hotel Gästis we have a perfectly “seasoned” lounge. Comfy armchairs, soft lighting and a collection of beautiful, vintage smoking curios turn the puffing into a very special experience. If anyone wants to enjoy a good cigar, we have a great range of first class, tobacco gems for sale.